We understand that your equipment is valuable. 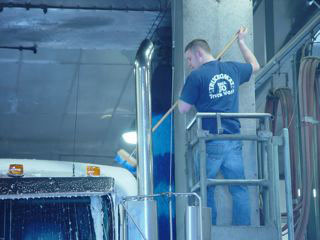 That is why our presoak system is designed to loosen road film, grease and insects without the use of harsh chemicals. 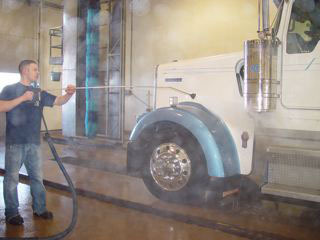 We believe that good old hand-brushing is still the best way to clean your truck. 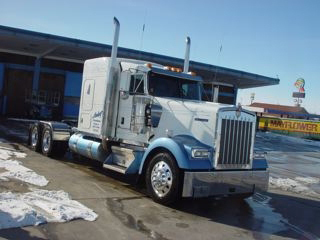 We don’t use caustic acids to clean your truck. 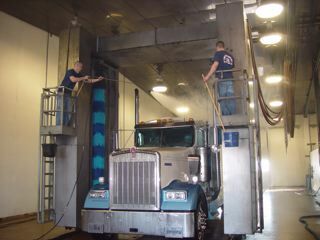 Our specially designed roller brush system ensures a high quality trailer wash quickly, minimizing your down time. All of our locations use a reverse osmosis spot-free rinse system. Having no chemicals left in the water, means your valuable equipment is protected as well as spot-free.